It is with deep pleasure that I stand here to address you all this afternoon, on behalf of Every Woman Hope Centre, Centre for Environmental Education and Development, Partnership for Rural Women Development, Jomurata Community Care Initiative and African Greens Revolution among others, an alliance to ensure an effective biosafety in the application of modern biotechnology for protection of human health, secured biodiversity, food security and socio-economic development in Nigeria. It is in furtherance of these noble objectives that we called you all to alert you about a strange development, bordering on gross misinformation which was reported as having been dished out to the public by way of Press Release from a group called Global Prolife Alliance(GPA). 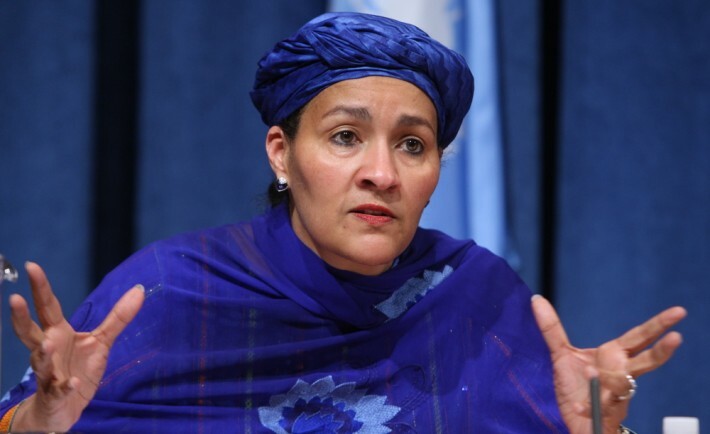 In their press release, the content of which our group has read, the Global Prolife Alliance (GPA) criticized the recent appointment of Amina J. Mohammed, Nigeria’s Minister for Environment, as the United Nations (UN) Deputy Secretary General. The GPA alleged that the appointment of Amina Mohammed was a payback for the introduction of GMO Foods in Nigeria. The statement is unpatriotic and malicious on the personality of Amina J. Mohammed, the Minister of Environment of the Federal Republic of Nigeria. It is a global Knowledge that she was already in the UN system before this latest ministerial appointment. On June 7, 2012, Amina Mohammed was appointed as a Special Adviser on Post-2015 Development Planning by the UN Secretary General, Ban Ki-Moon. Notable references on Amina Mohammed Curriculum Vitae include; Ban Ki-Moon, Professor Jerry Sachs and Former President Olusegun Obasanjo. It should be noted that Nigeria is not a pariah nation but a responsible and respected member of the global community and Nigerians irrespective of gender are qualified and entitled to work at all levels in any national or international body. Therefore, to lay a claim that the appointment of Amina Mohammed is for the purpose of reward is untenable. We expect the GPA and its principal promoter, Dr.Phillip Njemnaze to retract their statement, which we believe was made in error and promptly apologize to Amina J. Mohammed, Nigerians and the United Nations for propagating falsehood on issues about the role of modern biotechnology in agriculture for sustainable development in Nigeria and the alleged role played by the Honorable Minister of Environment in the perceived introduction of the scientific breakthrough in Nigeria. It is science that rules the world and Nigeria cannot afford to be isolated from the trend. Oppositions and informed criticisms are good for checks and balances but should not clog the wheels of progress. 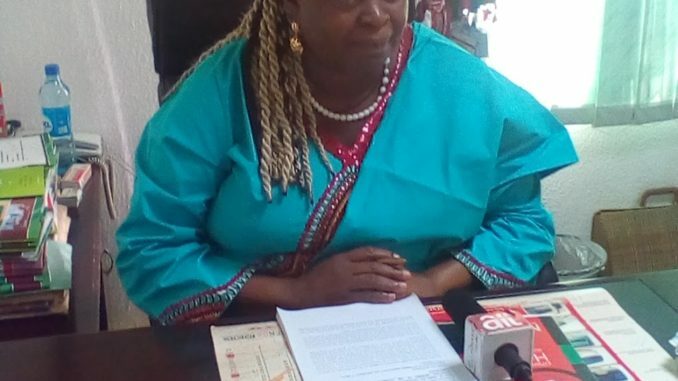 GPA twisted verifiable fact on the matter when they stated, among others, that two permits issued some months ago by the National Biosafety Management Agency, NBMA, wholly amounted to a forced introduction of GMO crops into Nigeria. This is not correct as the authorization by NBMA in the permits was in line with the standard regulatory practice and process as provided by the Cartegena Protocol for the commercial release biotechnological products. There is a constitutional requirement of the Federal Government of Nigeria to protect the public health and the biodiversity through the activities of NBMA. We rather recommend collaboration with the duly approved agency mandated to achieve this global biodiversity conservative targets through its most effective administration and qualified scientists and researchers. GPA was criticizing and making much ado about the wisdom which the Federal Government, through the Ministry of Environment, exhibited in allowing Nigeria to embark on Confined Field Trials which is a globally acceptable scientific practice. NBMA and the parent ministry went into it on a cautious note. We should encourage them to conclude the process. If the experiment is good, Nigeria will say goodbye to hunger. The recent press release by Dr Njemanze and his GPA clearly shows that they are behind the rest of the world. Rather that joining others to appreciate science and what it hold for the future of food security in Nigeria, the critics of GMO crops are now turning out to be alarmists by alleging that GMO crops are poison and that they pose threat to food security and national security too. Dr. Njemanze is a lone voice. Let me draw your attention to how the Nigeria Academy of Science (NAS), the bigger authority and indeed, voice of science in the Nigeria has messed up the position of Dr Njemanze and his GPA on the status of GMO foods at present. During a media roundtable on GMOs in Nigeria, on November 16, 2016, at its office in Lagos, the NAS stated unequivocally that the country is ready for GMO products and that they are safe for both production and beneficial to the nation, based on carefully-documented evidence from developed countries. Another speaker, a professor of plant breeding and crop biotechnology with the Department of Genetic and Biotechnology, University of Calabar, Effiom Ene-Obong, said there were no scientific evidence that agree with the raised health concerns of GMOs worldwide, “as they are safe for both production and consumption.” He noted that “though genetically modified foods are not commercially produced in Nigeria yet, three quarters of countries in the world are keyed into them and as a new technology, fears being entertained are expected, but rather, the benefits outweigh the worries”. Ene-Obong added: “Before these products are sent into the market, lots of trials and investigations are done by so many agencies, such as the Academy of Sciences Worldwide, United Nations Educational, Scientific and Cultural Organisation (UNESCO), World Health Organisation (WHO), to monitor and make sure they are safe for human consumption and they have recommended”. We Stand with NAS on this subject. The world is moving but Njemanze and his group wants us to remain static. He is like some who still stick for witchcraft instead of embracing science. If Nigeria was to follow his line of thought, we may, perhaps be killing twins till date. He claims that GMOs are poisonous and a threat to Nigeria. Finally, a word on the suitability of Amina Mohammed for the UN job. More Nigerians should stand up to thank the UN for identifying yet, another good person from Nigeria. It should also be a new testament that Buhari is listening. More qualified women in Nigeria should stand up to be counted. And this shows that Dr. Njemanze and his group did not know what they are saying. She is a star in the international firmament .We stand in support of the Minister of environment for the UN job. She is great woman who does great things. She has been excellent in the discharge of her duties before. She will do it again for Nigeria and humanity. I welcome you all once again to this press conference and I hope that conference will offer us opportunity to reflect deeply in our hearts on our desire for a holistic biosafety regulations in mainstreaming modern biotechnology in Nigeria.